These three pain points are what we set out to solve with the launch of Placed Targeting and Placed Attribution, the latest additions to our growing suite of location solutions, which includes our flagship Placed Insights service. This week we introduced Placed Targeting, the first solution to bring a place-based lookalike model to the mobile advertising industry, enabling marketers to reach their consumers wherever they might be in the physical world. 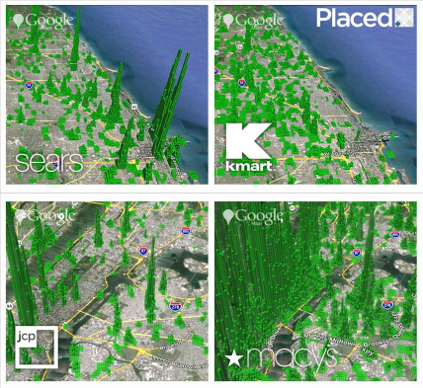 No longer limited by the standard geo-fence, advertisers can now expand campaigns to reach the right audiences at scale and at the right point in their decision-making process. Campaign results from early adopters are more than promising. Brands across retail, food & beverage and entertainment categories experienced double-digit gains in CTR, conversion rates, and targetable inventory when enabling Placed Targeting vs. standard geo-fencing. Placed joined forces with Verve as its official launch partner for Targeting; the first of a growing number of networks and publishers offering this new solution to their clients. In addition to Placed Targeting, we recently brought to market Placed Attribution, giving advertisers a programmatic way to measure the impact of mobile ads on in-store visits. This new class of metrics finally answers one of mobile advertising’s most troublesome points: How do I close the loop between mobile ad dollars and offline behavior? 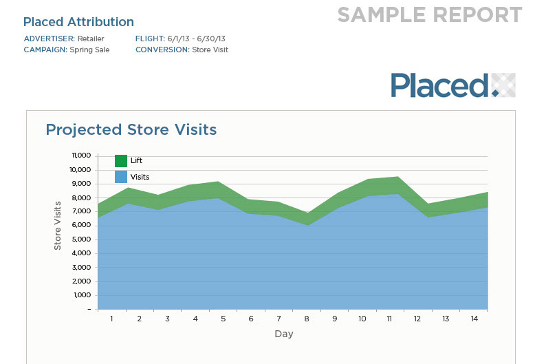 Providing actionable metrics like Store Visits, Lift, and Audience Features, Placed Attribution gives marketers the hard data to evaluate the true impact of their mobile campaigns delivered in a turnkey, sophisticated solution – say goodbye to biased brand survey studies and low accuracy impression-based methods. Placed teamed up with launch partner xAd, as the first of an expanding list of partners to offer Placed Attribution to any client aiming to drive in-store traffic from their mobile campaigns. Supporting all these exciting, new solutions is the world’s largest opt-in location panel and our commitment to delivering the most accurate and robust location data available in the market. Continuously measuring the movements of more than 100,000 opt-in smartphone consumers, without the bias of check-in or survey data, we’ve mastered the art of privacy-forward, direct location measurement. 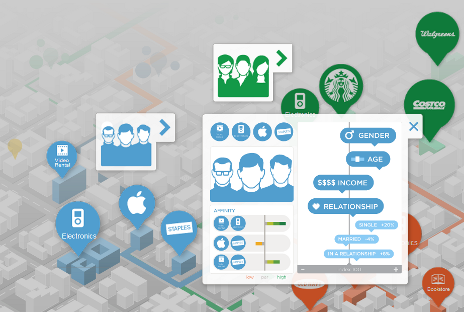 In total, Placed has measured more than 20 billion location points, mapping the connections between people, places and locations. These connections are what take location beyond an isolated latitude/longitude point to instead create a comprehensive and actionable story of consumers’ offline behaviors, weaved together by billions of location signals. Placed Targeting and Attribution are already being used by some of the nation’s largest retailers, restaurants and brands. We’re looking forward to sharing the results of these campaigns in the near future and providing updates on our growing list of industry partners. This entry was posted in Attribution, Company News, Insights, Targeting by Placed. Bookmark the permalink.